Epidemiological studies provide evidence of a continuous rise in metabolic diseases throughout industrialized countries. Metabolic diseases are commonly associated with different abnormalities that hold a key role in the emergence and progression of frequent disorders including diabetes mellitus (DM), non-alcoholic fatty liver disease (NAFLD), obesity, metabolic syndrome and cardiovascular diseases. 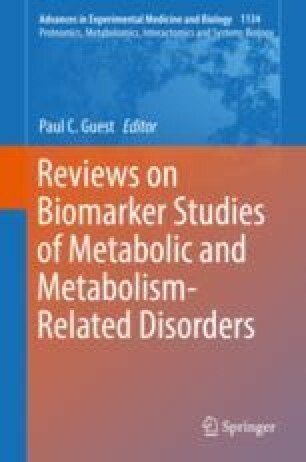 The burden of metabolic diseases is believed to arise through complex interaction between genetic and epigenetic factors, lifestyle changes and environmental exposure to triggering stimuli. The diagnosis and treatment of metabolic disorders continue to be an overwhelming challenge. Thus, the development of novel biomarkers may enhance the accuracy of the diagnosis at an early stage of the disease and allow effective intervention. Over the past decade, progress has been made in exploring the potential role of noncoding RNAs (ncRNAs) in the regulation of gene networks involved in metabolic diseases. A growing body of evidence now suggests that aberrant expression of circular RNAs (circRNAs) is relevant to the occurrence and development of metabolic diseases. Accordingly, circRNAs are proposed as predictive biomarkers and potential therapeutic targets for these diseases. As the field of circRNAs is rapidly evolving and knowledge is increasing, the present paper provides current understanding of the regulatory roles of these RNA species mainly in the pathogenesis of DM, NAFLD and obesity. Furthermore, some of the limitations to the promise of circRNAs and perspectives on their future research are discussed.